If you're one of Instagram's 800 million monthly active users, you'll know how powerful the social network is as a marketing platform. It's a prime place to promote your products, connect with your customers, and reach new people within your target market. Everyone else is doing it, but the question is: can your business find success? And how? In this article, I'll answer those questions, and more. We'll take a look at 30 amazing tips you can use to market your business on Instagram - starting with the one strategy that I can guarantee will help you get more followers, engage your fanbase, and drive sales through Instagram. 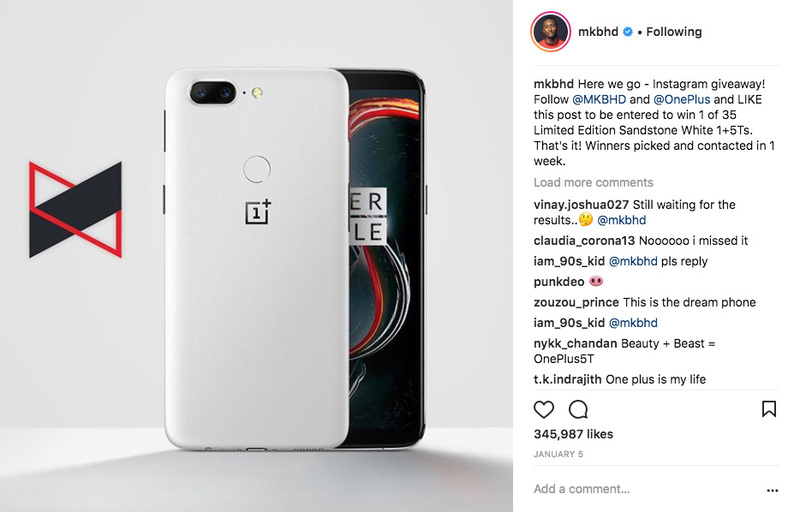 There's no other way about it: the absolute best way to market your business on Instagram is by running an Instagram contest. Whether you're looking to get more followers, capture leads, or sell more products, running a contest is - bar none - the best way to do all three when it comes to Instagram marketing. If you're an avid user of the platform, you'll know just how many brands run giveaways, photo contests, and sweepstakes to build up their fanbases, boost engagement and simply sell more. 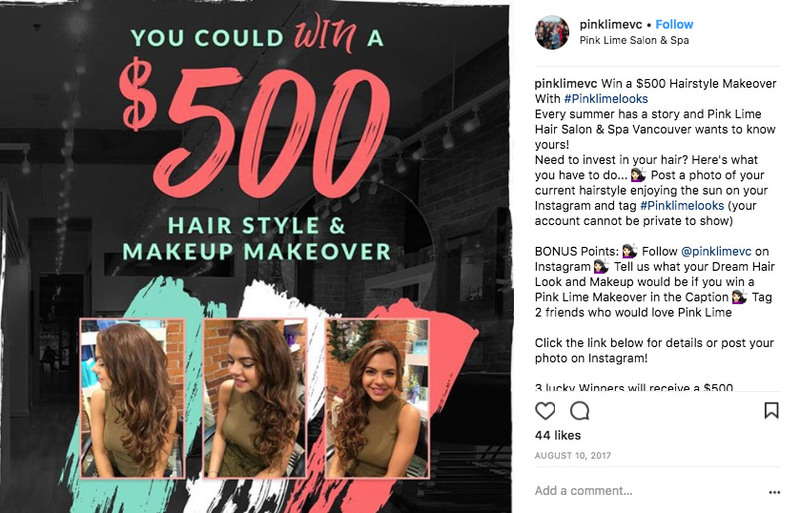 Let's take a look at a few ways you can use Instagram contests to take your business' social media marketing to the next level. Use an Instagram contest tool like Wishpond to build an amazing hashtag contest for your brand. Wishpond is awesome because it automatically makes your contests mobile-friendly, which is an absolute necessity for an Instagram contest. 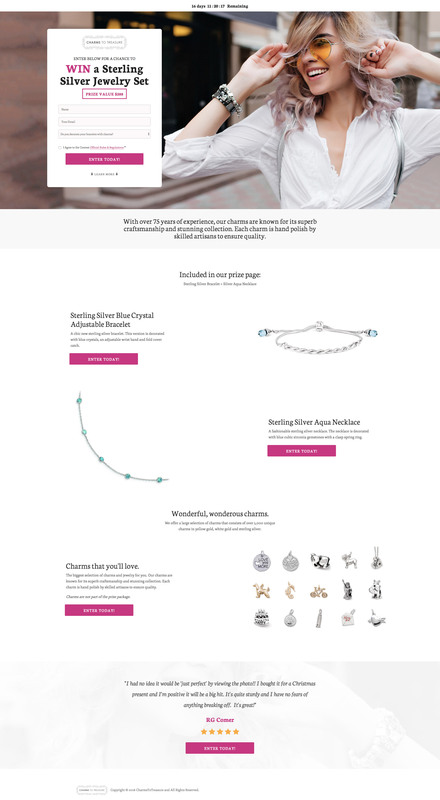 Build your page starting with one of Wishpond's awesome templates and put together an awesome prize package and a few attention-grabbing posts - and some ads, if you have the budget - to spread the word about your contest. Entrants upload photos to Instagram with a branded hashtag of your choice, and these photos automatically appear in a gallery on your contest page where people can vote on photos and see photos from other entrants. Enabling voting on your contest page allows you to collect email addresses, which is key when it comes to building your email list and generating sales through email marketing. This is by far my number one Instagram marketing tip - it's something you need to try if you haven't already. 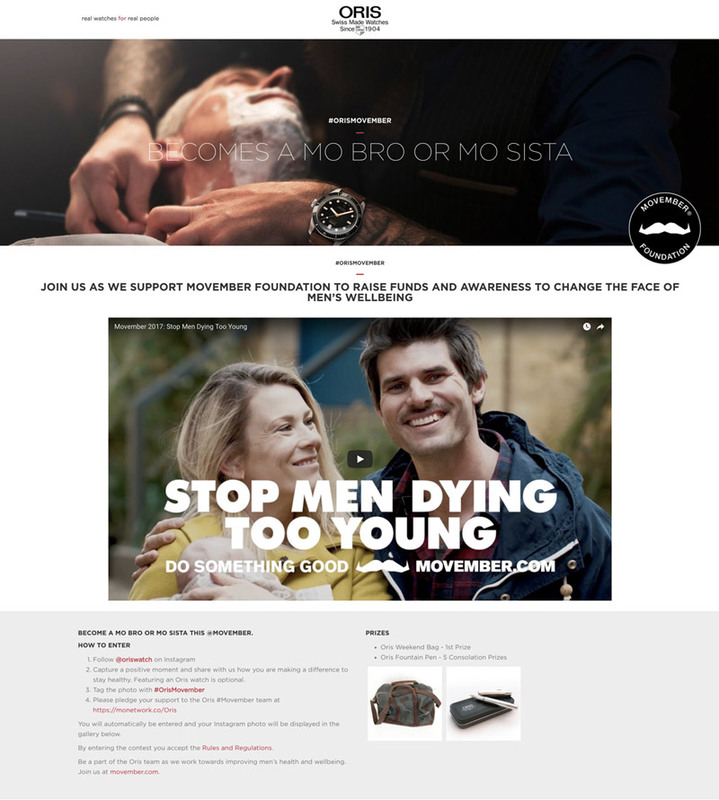 Here's an awesome example of a Movember-themed Instagram hashtag contest from watch manufacturer Oris. The contest was seen by over 3,000 people and generated 116 entries - not too shabby! Though hashtag contests are awesome, requiring entrants to upload a photo with a branded hashtag to their profile can sometimes be too big an ask. If that's the case for your brand and your target market, consider running an Instagram sweepstakes instead! The entry process is a bit different. Using your contest app of choice, build a sweepstakes page featuring information about your contest, your prize and a form with information that you want to collect from entrants (the less the better - I'd recommend just email, and maybe name). 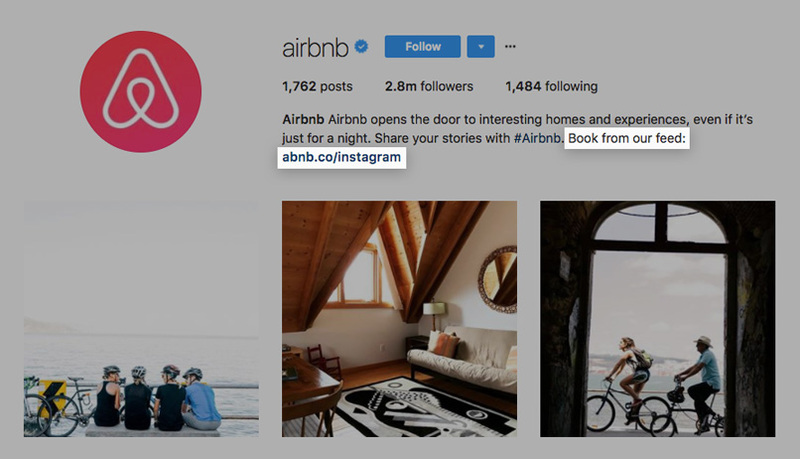 Then, schedule a set of Instagram posts or Instagram Stories that inform followers about the sweepstakes with a call-to-action directing them to your newly-created contest page. An Instagram best practice is to put this link in your bio so people can easily click and enter. 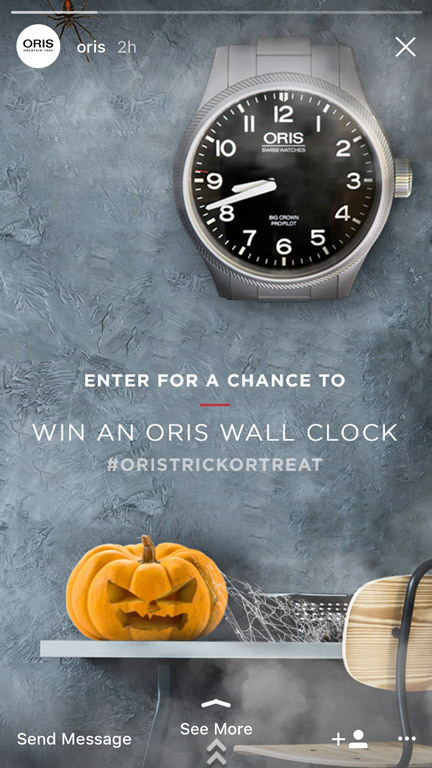 Instagram sweepstakes work particularly well when you have an ad budget. This is because Instagram ads are the only way to send people to an external link from a post, and sending people to your sweepstakes page is crucial to collecting emails and getting entrants. Running an Instagram contest is one of the best ways to generate engagement and drive sales through Instagram. Wishpond's Instagram contest builder features dozens of templates that that make creating an Instagram contest simple. Instagram marketing is great, but it's no use if you have nobody to market to. Whether you have a new business trying to get started on Instagram or are just looking to expand your business' existing follower count, a bonus entry contest is right up your alley. For example, someone who enters your bonus entry contest contest might earn 5 extra entries for following you on Instagram, 3 entries for Tweeting the contest link, or 10 entries for getting a friend to enter the contest, too. 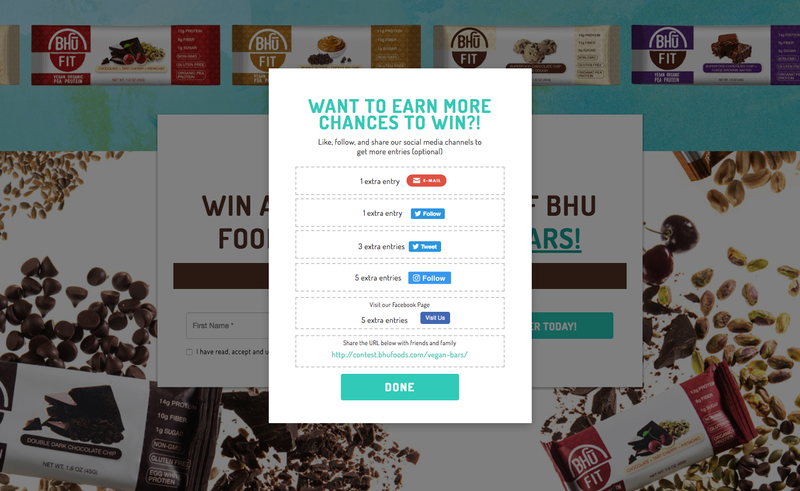 Check out this awesome bonus entry contest example from Bhu Foods, who had over 5,000 entrants and generated a ton of social media followers in the process. 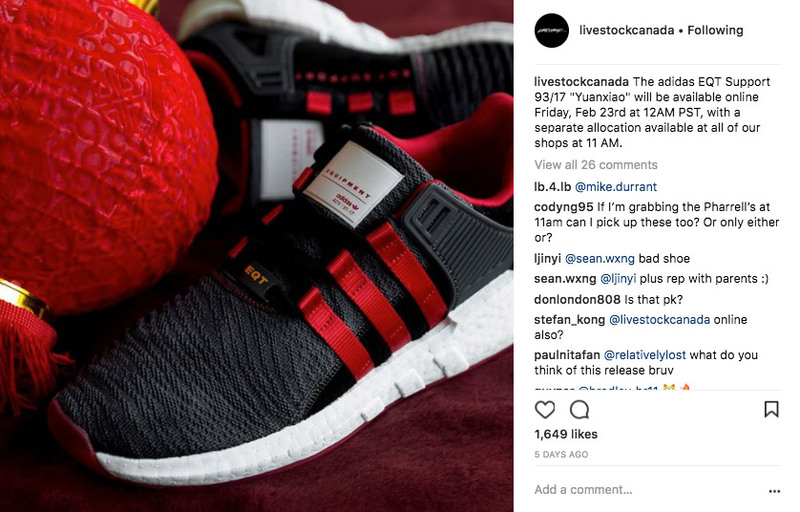 Most businesses can run a successful Instagram contest, but if you want to give your contest the best possible chance at succeeding, there's one activity worth investing time and money into: Instagram Ads. It's one way to guarantee your contest reaches a ton of new potential customers who are highly likely to be interested in your product. Let me explain. Because it's owned by Facebook, Instagram Ads shares the Facebook Ads platform, which is an incredibly powerful tool that allows you to target people based on the things Facebook knows about them - including demographics, interests, and more. It's an immensely useful way to reach people you can turn into customers, instead of simply marketing to your existing followers (who are likely already customers). In your contest ad, highlight your prize, as that's ultimately what will get people to click through to your contest and enter. Consider adding light copy to your ad ("Enter for a chance to win [prize]!") to grab your audience's attention. Post a photo (or a couple photos) of your products with descriptions or a call-to-action in the caption. Then, urge your customers to buy! If you want to maximize your chances at a sale, considering adding a limited-time offer or discount to your ads. Giving people a reason they should act or buy now rather than later is an effective way to increase the conversion rate of your ads. If you're a service, consider creating an offer (like a consultation or assessment) that you can give out in exchange for a potential customer's lead information. Onen of the most important parts of a successful ad is the page you send them to - if it's not optimized for conversion, you won't see any return on the money you're spending on advertising. As a result, I'd recommend you send them to either an optimized product page or a landing page highlighting an offer (if lead generation is the goal). Instagram can be a relatively passive platform. What I mean by this is that people browse their feeds without much intent - they usually do it to keep up on the latest with their connections or idly do it to pass the time. 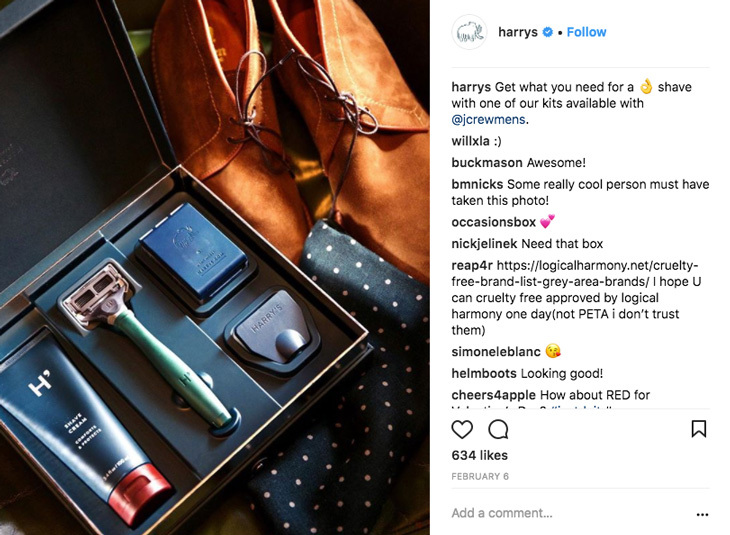 If you want to drive sales through Instagram, it's important that you engage followers with content that turns them into active viewers, rather than passive scrollers. Generally, people react well to promotions when combined with appealing product posts. Showcase your offerings with a product photo and add text (either on the photo or in the caption) that highlights an offer or coupon code. A best practice is to connect sales and discounts with an occasion like Black Friday or even the Super Bowl - this serves to make your promotion feel more topical, and can help you avoid cheapening your product in your customers' eyes (as this can happen if you're constantly giving out discounts for no reason). If you're looking to grow your Instagram account, a great place to start is your existing customers. This tip works particularly well for retail customers because it's so easy to set up - just have them show you that they follow your Instagram account at your point-of-sale, and then give them 10% off (or whatever you decide to offer). If you're an online business, this is still doable using Wishpond! 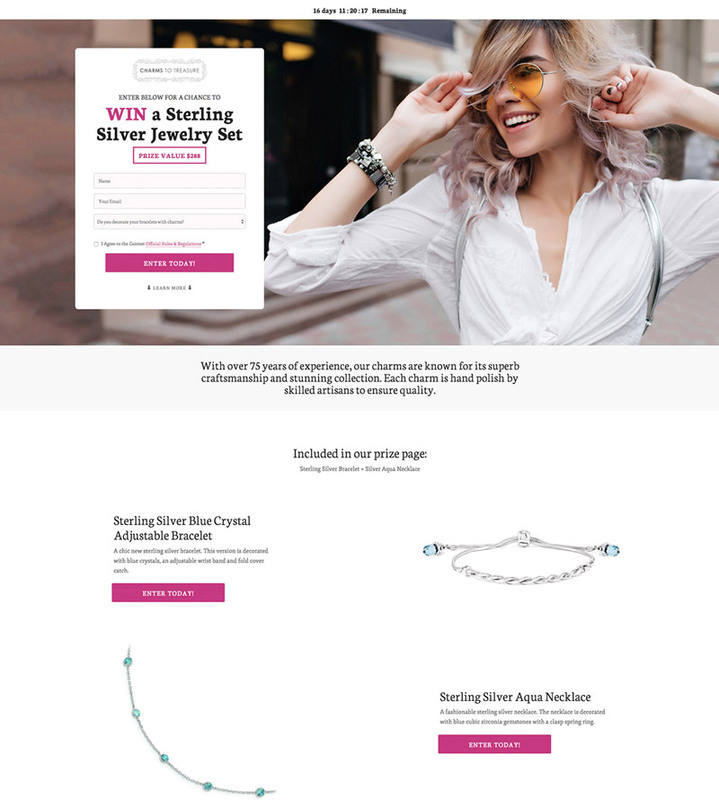 Create a popup or landing page for your website that gets people to enter their email address and add a bonus entry action that gives them points for following you on Instagram. Once they've done this, set up a triggered email that sends them a discount code automatically. Instagram marketing at its simplest consists of product photos, but it's not a strataegy that should be taken lightly! A combination of great photography and an action-oriented caption can definitely help you find success with Instagram marketing. 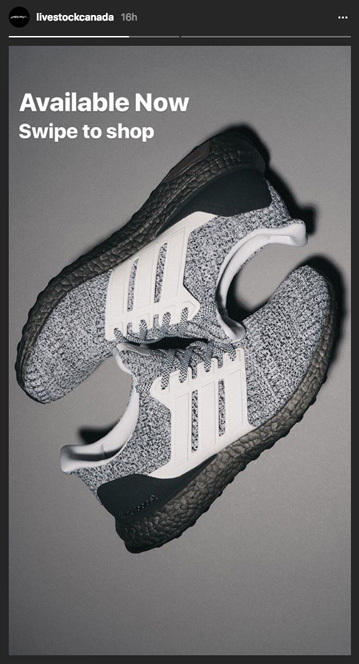 A solid, consistent brand strategy for Instagram is to periodically post photos of your products with some additional information in the caption. In each caption, try highlighting the product's selling points, mention its price, and direct people to where they can get it. Though product photos are great, one way to make them feel more relatable to your followers is by showing them in action. Showing someone using your product makes it easier for your followers to relate to the photo, putting them in the mindset of "I could be this person". It also serves the second purpose of showing people the various situations in which your product can be used - which might even swing a follower's purchase decision for the better. 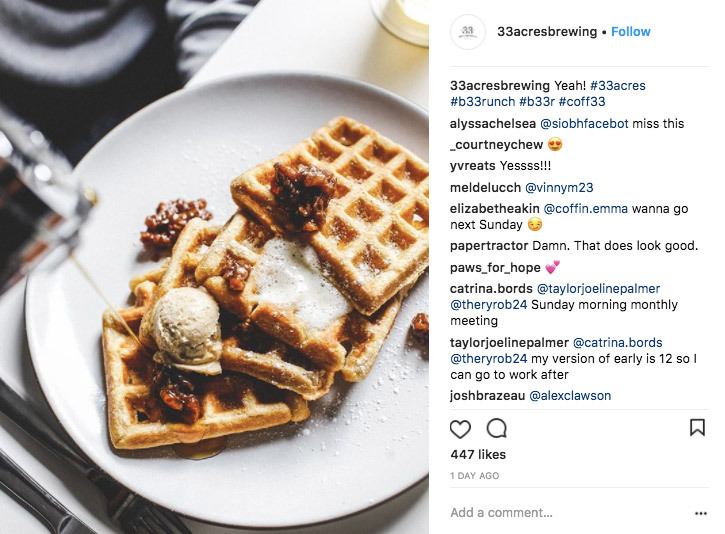 Though this isn't inherently a marketing strategy, it's a good idea to keep up with the different types of content Instagram lets businesses post. Consider using video for the times when a photo just won't do, or using Instagram's Carousel feature to tell a story or highlight a product in multiple photos. Utilizing different content forms allows you to maximize your reach on the platform - it's can often be more interesting for a follower to see a video on their feed amongst hundreds of other photos. It's one thing for you to tell your followers that your products are awesome and that they should buy them... it's a completely different thing when somebody they can relate to sings your products' praises. If you collect testimonials, reviews, or have been sent stories about your product, share them on Instagram! We don't have to tiptoe around it - social media marketing can be needlessly time consuming, and Instagram is a prime culprit. It takes a lot of time to take great photos, edit them, and craft clever captions. Save the time you do have left over by using a scheduling app like Later or Buffer to plan out your Instagram posts days (or weeks, or months) in advance. Instagram Stories is amazing for sharing your content - it's like a first-class ticket to the top of your followers' feeds. Updating your Story periodically (but at least once a day) is a great way to keep followers engaged. Stories are located at the top of your followers' News Feeds, so it's an easy way to get them to view the things you post. If you've just recently posted a new photo or video, use your Story to direct people to it. The possibilities are endless! If there's one thing in this article I'm 150% sure of, it's that people love free stuff. Take advantage of this by hosting giveaways on your Story, giving away products or coupons to winners. My personal favorite strategy for Story giveaways is to get people to post photos using a specific hashtag (so you can find them), and then reposting their photos on your Story. This is a great way to engage followers, collect some user-generated content, and spread brand awareness to your followers' connections. Wishpond's contest apps make it easy to create a hashtag contest for your Instagram Story. Collect user-generated content, boost engagement and get more followers. I'm telling ya - coupons and discounts are the way to your followers' hearts. Occasionally post stories with a discount code (or promotional pricing on a specific product). Make it a limited-time offer to increase urgency, and then link to the product page or your website through your Story. To do this, you'll need an Instagram for Business account - so make sure you get that set up! As I mentioned, one of the biggest benefits of having an Instagram for Business account is that you're able to link to external URLs from your Story (which is a feature that's notably absent for non-business accounts). 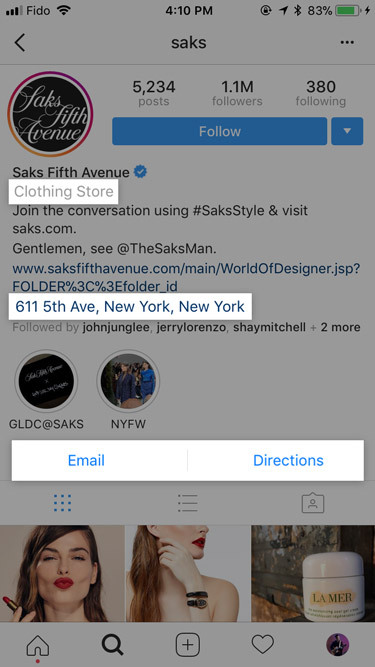 Take advantage of this by highlighting products from your business on your story, with a swipe-up link that people can use to purchase. If you're running an Instagram contest, this works well too. Link followers to your contest entry page on your Story to make it as easy as possible for them to enter. Continuing on with what I said earlier about leveraging different forms of content, Instagram Live is an awesome avenue to explore if you have the fanbase to do it. It's a great way to interact with your followers on a more personal level. Your Live broadcast can take a few different formats - a few that work well are Q&As, product launches, and influencer takeovers. Whatever the case may be, maake sure to announce your broadcast well in advance (on your Story, on other social platforms, and in a post) to give your broadcast the best possible shot at performing well. Finally, have a goal of some sort for your broadcast - whether it's to get people to visit your website, enter your contest, or buy a product, having a specific objective in mind will help you focus your broadcast and push people to convert. Hashtags play a major part in your pursuit of Instagram success. Though they aren't amazing for directly reaching your target market - I'd venture that users rarely browse through specific hashtags unless they themselves are a business or influencer - using the right hashtags can help by boosting engagement on your posts, making them more likely to show up higher on your followers' feeds or on potential customers' Explore feeds. 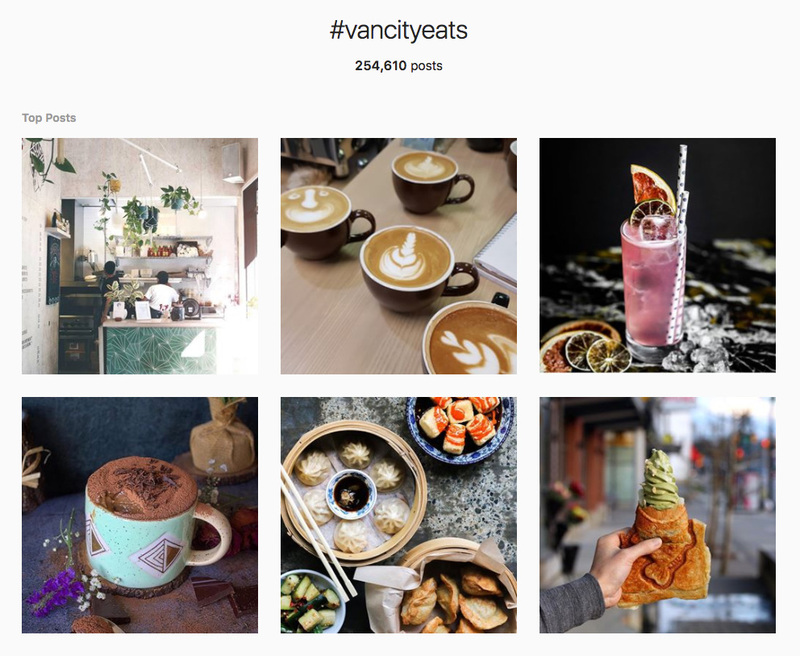 The two best-performing types of hashtags for businesses are local hashtags (#vancouver, #yvr, #the6ix, etc.) and brand or product-related hashtags (#brunch, #fitfam, etc.). Find local hashtags by checking out posts from other local business or local business publications (e.g. @viawesome), and product-related hashtags from competitors or influencers within your industry. Similarly, you can drive some traffic to your Instagram page by commenting on other posts from local or product/brand-related accounts. Find posts using the hashtags you've curated in the previous tip and leave a few comments here and there. This can help connect you with potential local customers and customers within your industry, and drive a bit of brand awareness. Try to leave meaningful comments instead of things like "Great photo!" - this will help you build relationships with other brands. If your account is starting to pick up steam, consider creating a branded hashtag that people can use when they post content related to your brand. This hashtag can be as simple as something like "#californiadonuts", or something clever (like "#b33rs" from 33 Acres). This allows you to easily find user-generated content for your business to use, or find content from fans that you can like or comment on. It's also a great way to drive brand awareness, because your fans' followers will see your branded hashtag too. You might think is a no-brainer, but you'd be surprised! If your posts get hundreds or thousands of comments, this strategy is less feasible - but for a small business looking to grow its following and get more customers, responding to every (real) comment you get is an awesome way to build personal relationships with both potential and existing customers. Whether it's a simple "glad you like it!" or "hope to see you around sometimes soon", comments make your brand feel more personal and connect you more strongly with your target audience - which can mean all the difference when it comes to making a sale. Running an Instagram hashtag contest or creating a branded hashtag gives you access to a plethora of amazing content - the photos and videos that your fans post. 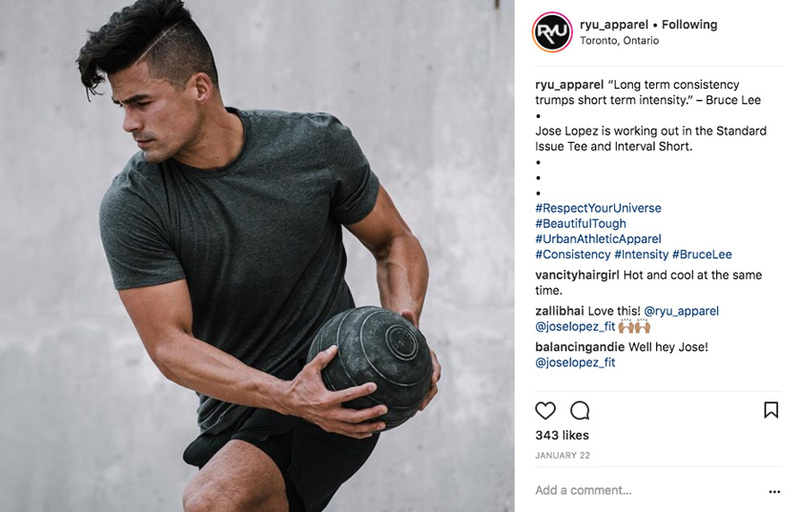 User-generated content is uniquely engaging because it's real and genuine - it's not as perfect and polished as the photos you post yourself, and that's what makes them so exciting. Though I wouldn't recommend posting only user-generated content, posting it occasionally (or featuring it on your Story) is a way to recognize your fans, and strike a balance between polished and personal on your feed. Make sure to give credit to the user who originally posted it, too. As a marketer, one of the greatest trends of social media is the way it's drastically increased the number of collaborations between brands, making for some of the most compelling marketing creative I've ever seen. Though you might not necessarily be out to change the marketing game, consider partnering with other brands whose products complement your own to run joint marketing campaigns. For example, if you're a taco restaurant you might create a set of partnered posts with a local brewery, promoting their beer (and vice versa for them). Choose a brand whose target market closely resembles your own, and you'll find you can drive a ton of business with this mutual relationship. I also recommend creating some sort of promotional offer (continuing on with the earlier example, 3 tacos and a beer for $8) to drive sales from your partnership. An even better way to capitalize on a partnership is to run a contest or giveaway together. Put together an awesome prize package featuring both of your products (and maybe a couple of other goodies), and get your contest running! This helps you engage both of your fanbases, and helps cross-pollinate - meaning you'll both get more fans while generating interest in each others' products. For more on running a contest on Instagram, just scroll to the top of this article! Ready to run your partnered Instagram contest? 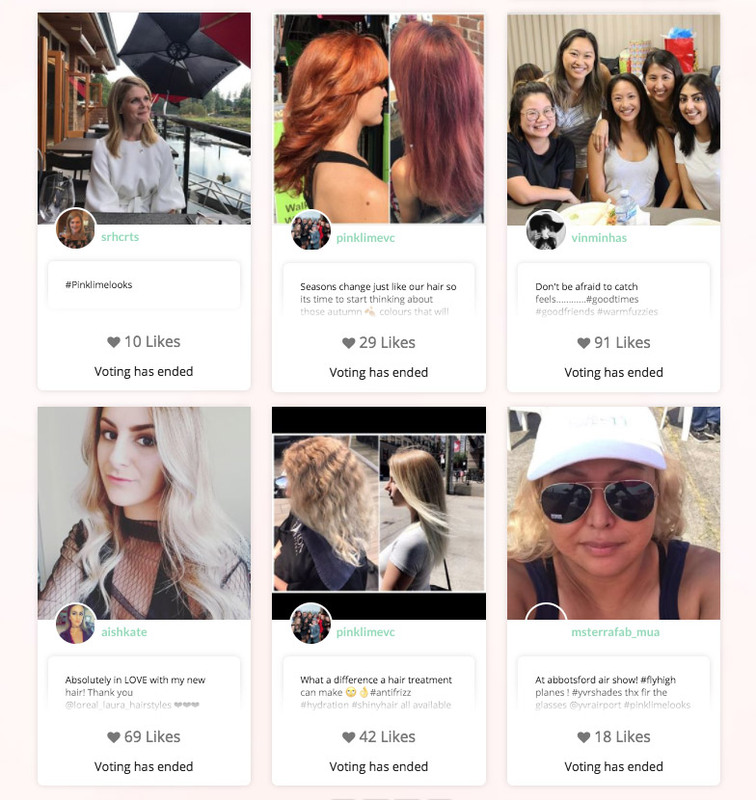 Wishpond's Instagram contest apps make it easy to build a giveaways, contests and promotions for you and the businesses you choose to partner with. 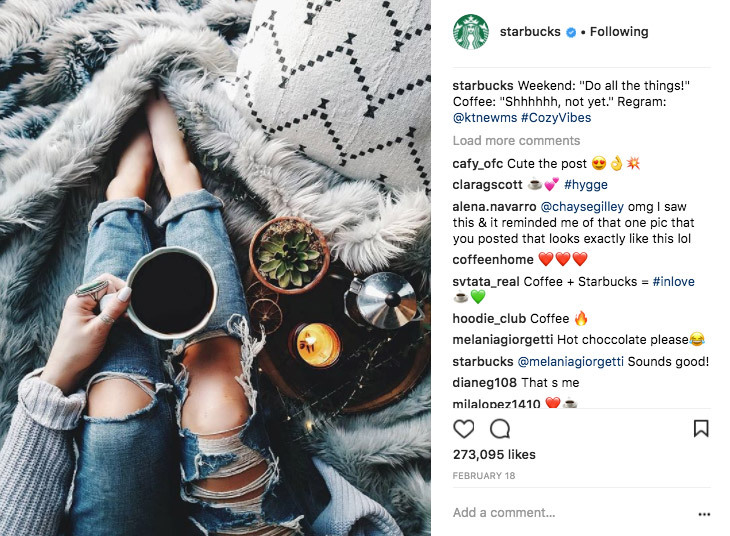 Though it seems to have died down a bit as of late (compared to its heyday), Instagram influencer marketing still runs rampant among the platform. If you want easy - albeit, probably not cheap - access to your target market, consider reaching out to an influential Instagram figure within your industry and ask them to create a sponsored post that highlights your business or product and directs their followers to your website or store. Or, consider running a giveaway with them! Don't look for the influencer with the biggest following - instead, look for one that has a genuine connection with their followers and a heavy social influence. Remember that this person will inevitably be an extension of the way your brand represents itself on social media, so choose wisely! Reach out only to the influencers whose values align with yours. Local accounts are an awesome way for local businesses like restaurants or spas to reach their target markets on Instagram. There are a ton of Instagram accounts that focus specifically on a single city or state; in addition to photos of popular local spots, they tend to feature experiences or businesses. Identify the accounts in your area that have large followings, and reach out to them to review your product or visit your business - then ask for a post on social! If you're lucky, these accounts will also have online publications, meaning you might be able to have your business be featured on a local blog post as well. It can be tough to get people form your Instagram page to your website without the help of ads or through your story. Only a few people will make it to your bio to click and visit your website, and even then, you can only link to one page at a time, meaning that link needs to either remain the same all the time or change every time you post - neither of which are ideal situations. You can circumvent this by using monetization tools like Curalate's Like2Buy or Have2Have.It that make your Instagram feed shoppable. 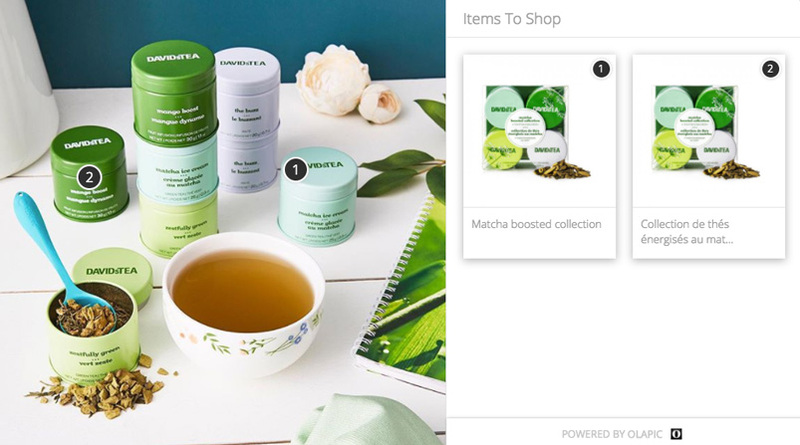 They create a page that replicates your feed, allowing people to click on specific photos to get information on the products featured in each image. This is awesome for companies with multiple products, as it allows you to link to a single place from your bio that acts as a hub for all of your links and products. If you haven't already, you need to turn your Instagram account into an Instagram for Business account. Having a Business account allows you to get unique metrics on your posts and Stories, insights into your followers, and add information about your company like your business hours, location, and phone number. It's a no-brainer, and there are no downsides to it. Interested? You can get started right here. One underappreciated part of Instagram is bio in your profile. It's the one place (besides posts, of course) that people can get information about your business. Doing something as simple as adding a CTA to it can increase the amount of traffic you drive from your account to your website or store. For example, you might add "Click the link below to shop [your business]!" if you're an ecommerce store or "Click to read our newest post" if you have a blog. With all of the changes Instagram has made to the way it orders users' feeds, it can be tough to get your content viewed by the followers who might not interact with your posts on a regular basis. Occassionally add a CTA to your posts (and even your profile) that tells people to turn on post notifications. This causes them to receive a notification every time you post something on Instagram, greatly increasing the chance they'll see it and interact with your brand, which ends up boosting your organic reach. Think of it as the equivalent of an email newsletter for your Instagram feed. There you have it - 30 awesome tips that will help you find success on Instagram. It can be a tricky platform to grasp, but I'm certain these strategies will help you kickstart your Instagram marketing. Not sure where to begin? Putting together your first Instagram contest with Wishpond isn't a bad place to start. Try building your contest totally free by signing up right here. Questions or comments? Let me know below! Wishpond makes it easy to get the most out of your Instagram marketing. Create hashtag contests, sweepstakes, and bonus entry contests to engage your fans and get more followers on Instagram.